We looked at the top 1 Ice Cream Makers and dug through the reviews from 17 of the most popular review sites including Good Housekeeping, BestReviews, New York Times Wirecutter, Your Best Digs, Consumer Search, Top Best 10 Reviews, Engadget, Top 10 Focus, The Spruce Eats, Dream Scoops, Dooba Reviews, Groom and Style, Sweet Ice Cream Love, Elite Daily, Top Reviews, Happy Body Formula and more. Through this analysis, we've determined the best Ice Cream Maker you should buy. If you prefer a softer ice cream mixture, steer toward the Breville Smart Scoop Ice Cream Maker, which creates a concoction closer to soft serve. This model is both easy to clean and quiet in operation. One of the best things about this machine is its keep-cool function, which ensures your ice cream doesn't turn to soup within minutes of making it. In our analysis of 95 expert reviews, the Breville Breville Smart Scoop Ice Cream Maker placed 4th when we looked at the top 9 products in the category. For the full ranking, see below. 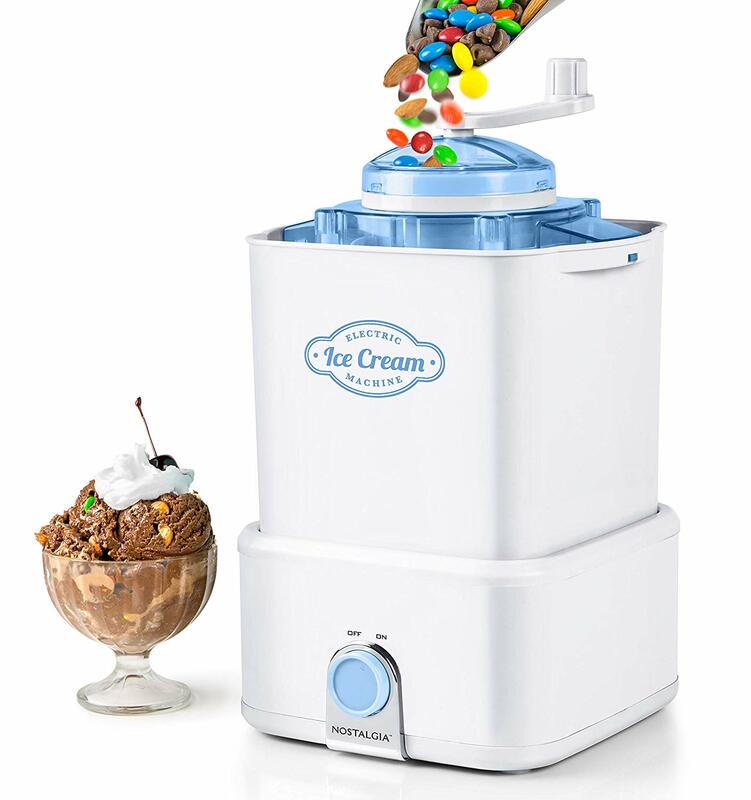 Checkout The Best Ice Cream Maker for a detailed review of all the top ice cream makers. This ice cream maker includes cleaning brush, offers 12 hardness settings and has self refrigerating compressor. Reliable results, with 12 hardness settings for making everything from gelato to frozen custard. Fully automated or manual. It has an auto function with 12 hardness settings and a keep-cool function so you can set your ice cream and walk away. And its brightly lit LCD screen and control panel with big buttons make it easy to use—even for kids. The Breville was considerably less noisy. It simply emitted a low hum as it churned and was barely noticeable in the background. Breville were especially easy to clean and ready to use again in minutes. The Breville even comes with its own small brush to clean the hard-to-reach canister cylinder. The Breville's control panel features a brightly lit LCD display and large buttons that make it simple for anyone to use. Optimum operating temperature adjustment is possible with pre-cool settings. 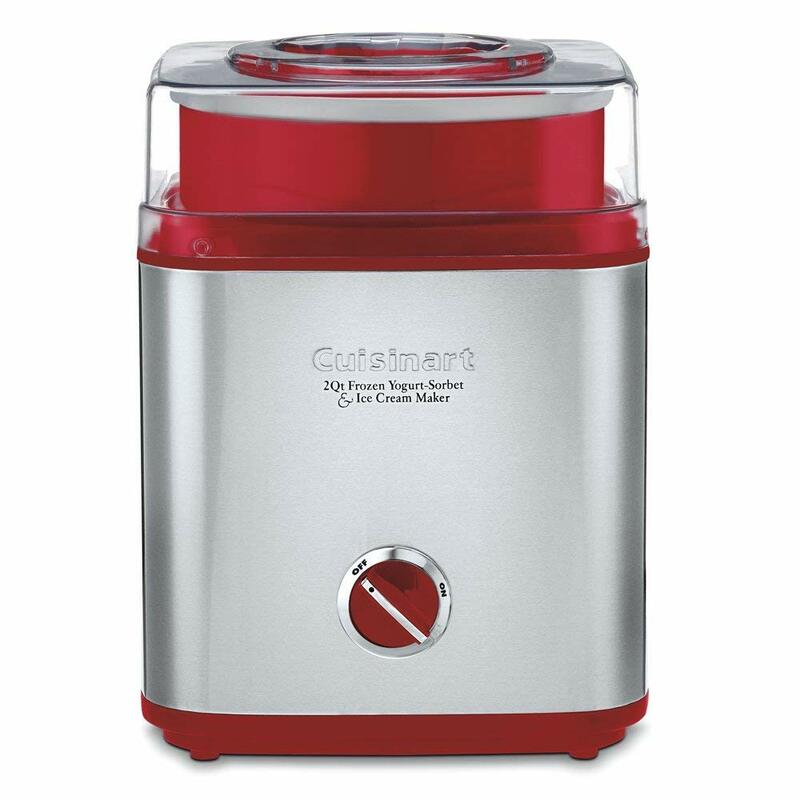 It has an auto mode that lets you choose from 12 hardness settings, from soft sorbet to super-firm ice cream, and alerts you when it's time to add mix-ins or when the the cycle is done. It also has a unique cool-down function that brings the temp of your base and the machine down to the perfect turning temperature before it starts to churn. This portable ice cream maker will let you fine-tune settings according to hardness so you can make sorbet, frozen yoghurt, gelato, and ice cream. It has a very large bowl capacity so you can make ice cream for you and a friend. The bowl on this model is easily removable with its sturdy metal handle, allowing for quick cleanup. The lid is also clearly marked, making it easy and quick to slide into place. The wide opening on the lid lets you easily add mix-ins and keep an eye on the ice cream’s progress. It has a very attractive brushed stainless steel housing, that features ventilation vents on the front, sides and back and an embossed Breville (or Sage) logo the front. ​The finish gives it a high quality, well made feel. It looks great! It’s just so easy to select the setting you want, but because of the handy display, it’s easy to see on the indicator the precise setting you want for the dessert you’re making. It’s that easy taking the guess work out of making gelato. You find the setting that’s set to your liking, and boom, you’re done. The BCI600XL is a compressor model, so there’s no overnight wait for the bowl to chill. It takes only a few minutes to get your ingredients to the proper temperature, and the pre-cooling function can cool down bases that you’ve cooked on the stove, like custards. Unlike lower quality appliances, the Smart Scoop comes with no less than 12 hardness settings. From soft serve to firmer ice cream and everything else in between, the machine is guaranteed to deliver a much better consistency than regular store-bought ice cream. Along with regular ice cream, you can also use it to make other frozen treats like gelato, frozen yogurt and custard, frozen smoothies, sherbet, sorbet and the likes. By this token, this machine allows you to always have dessert on hand for whenever unexpected guests show up at your door. This self-refrigerating model by Breville has all the bells and whistles you could ever want in an ice cream maker. 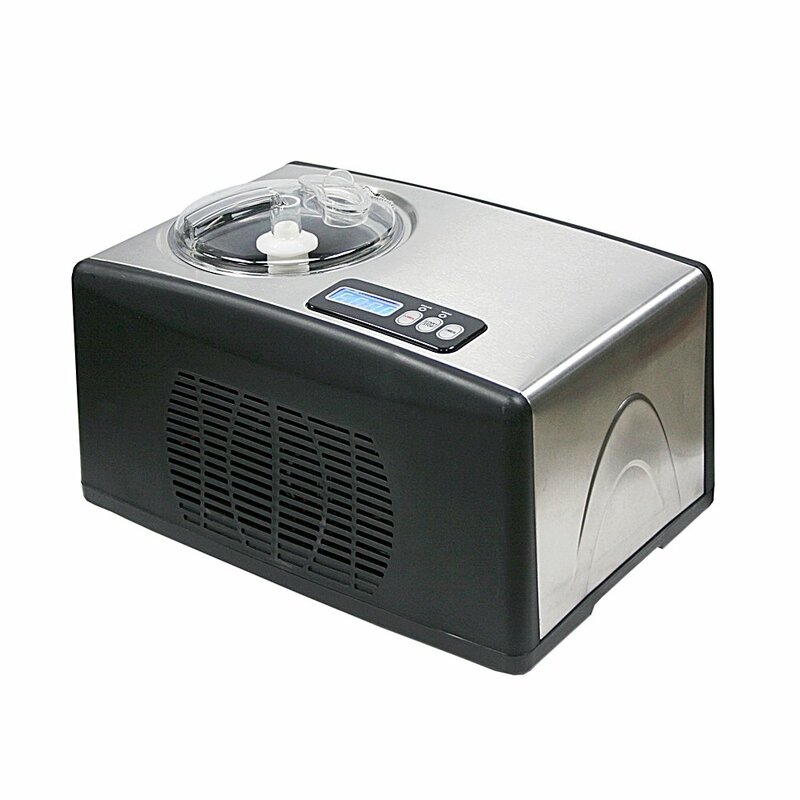 While most models require that the mixture is churned in a chilled bowl, and then allowed to set for up to four hours in the freezer, this machine actually freezes the ice cream as it churns it. All you have to do is set your hardness preference before you start, and you're good to go. 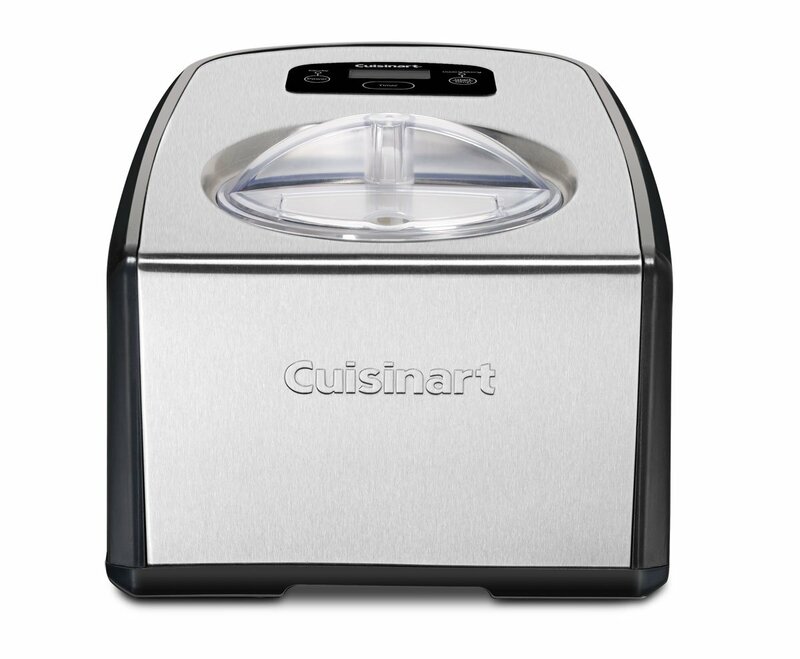 Easy to clean, it has 12 hardness settings and it can be set to cool ice cream for three hours after churning. Some don't like its noisy operation. Scooper that's included is too short. The steep price negates its marginally better performance. As with most of the other machines, the ice cream had soft-serve consistency and needed to be frozen before serving. We found the texture of the desserts made in the Breville disappointing. The vanilla custard ice cream was more like frozen whipped cream with a heavy aftertaste of butterfat. The chocolate, sorbet and non-dairy coconut were grainy with ice crystals. On the downside, the Breville is a heavy machine – about 30 pounds – so it can be cumbersome to take in and out of a kitchen cabinet if you don't want to leave it out on the countertop. It's also pricey. At about $320, it's not the most expensive ice cream maker available, but it's more than some may want to spend on a kitchen gadget they may not use frequently. The Smart Scoop really has going for it are more automatic options—basically a lot of extra bells and whistles that most people probably don't need. It is larger than most models and can only make a small amount of ice cream. The shape of the paddle results in the ice cream spinning along the center dowel, unlike the folding and sweeping motion produced by the Cuisinart’s paddle. This motion resulted in unevenly distributed mix-ins and left a layer of unspun hardened ice cream base along the inside of the bowl. This model is also big, heavy, and expensive, requiring an investment of both money and counter space. ​A one year warranty on a machine like this seems very tight to me. Compressor machines can be quite delicate. They're also an expensive investment. A decent length warranty provides peace of mind. Parts are not dishwasher safe. The ice cream maker is pricey and can only make three to four cups at a time. The BCI600XL Smart Scoop is Breville's easy to use ice cream maker with automatic hardness settings. It's the first ice cream maker that automatically senses the hardness of the mixture based on your selection and keeps it ready until it's time to serve. The Breville BCI600XL Smart Scoop is made of BPA free materials, features a child lock, and when your dessert is ready will sound an alert beep or one of three musical tunes. Homemade ice cream is a treasured part of summertime fun. All you need is a good ice cream machine and some ingredients, and you’ll have a deliciously creamy treat. Today’s ice cream makers are built to make the perfect frozen treat with minimal effort. Just fire it up, choose your settings and wait for results. But not all ice cream makers are built the same. The design plays heavily into how the final product tastes, so it’s important to know what type of ice cream you prefer before you buy. You’ll also find some machines can tackle a wide range of ice cream types, including gelato and sorbet, while others are limited to ice cream with a soft-serve consistency. One issue commonly seen with homemade ice cream from these machines is a grainy consistency. This is a result of ice crystals that get in the ice cream. If you’re looking for that desired creamy taste, you’ll need to look for a machine that minimizes ice crystal buildup. There are three major types of ice cream makers. One requires you to add ice and salt, while another has you freezing the bowl ahead of time. The third comes with a compressor, which means you can fire it up and start making ice cream. While the compressor model sounds great, it can also be more expensive, which is a consideration if you’re on a budget. If you only plan to make ice cream for your own immediate family, you may not have to worry much about capacity. But for those backyard summer barbecues or family reunions, a high-capacity ice cream maker will come in handy. Instead of having to sit by the ice cream maker cranking out batch after batch, you can make plenty of servings for everyone at once and go back to having fun. Before refrigeration, ice cream was a challenging food, only available to the elite. The dessert is thought to have first been consumed back in the fourth century B.C., with Alexander the Great reportedly enjoying snow and ice flavored with honey and nectar. But not until 1660 was ice cream consumed by those other than the very wealthy, rising in popularity in the 1800s with the invention of insulated ice houses. In 1851, a Baltimore milkman named Jacob Fussell opened the first ice cream manufacturing factory, which led to more locations soon after. When soda fountains began emerging in the late 1800s, ice cream soda popularized ice cream, and a nationwide trend was born. The top reason to invest in an ice cream maker is to make ice cream that tastes far and above what you could buy in the freezer section of your grocery store. For that reason, taste will be an important part of your decision-making process. 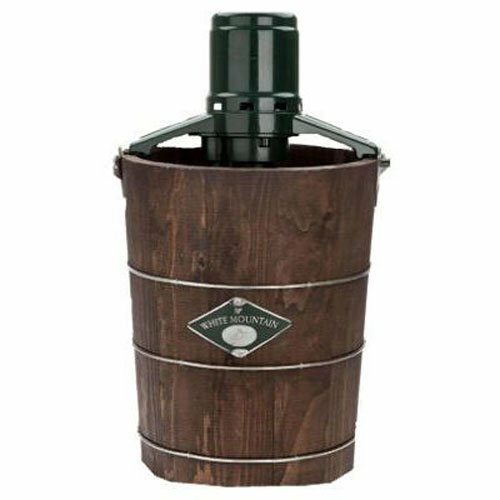 The Lello Musso Lussino Ice Cream Maker creates smooth ice cream in delicious flavors. You’ll need to watch out for ice crystal buildup, though, which can keep it from being as creamy. You’ll also need to experiment a little if you want to make special recipes like gelato. The Whynter Ice Cream Maker also makes tasty deserts with impressive consistencies. If you don’t mind sticking strictly to the manufacturer’s ice cream mixes, the Nostalgia Ice Cream Maker can cook up some yummy batches. With the Breville Smart Scoop Ice Cream Maker, you’ll get soft-serve consistency from your end product, which is something commonly seen with ice cream makers. If you’ve ever used an ice cream maker, you know they can be noisy. This isn’t a big deal for those times when you’re making ice cream for the family. However, when you’ve gathered all your friends in the backyard for a fun cookout, the whir of the machine can serve as a distraction. The Breville Smart Scoop Ice Cream Maker emits a very subtle low hum while working hard to make your ice cream. 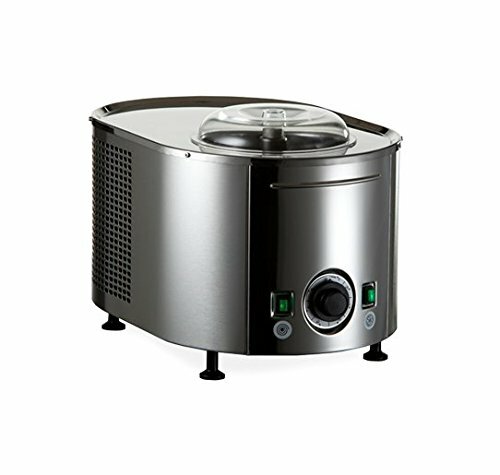 The Whynter Ice Cream Maker is also among the quietest ice cream makers. At the end of each use, you’ll have to put your machine in storage until the next time you need it. Unfortunately, cleanup with some ice cream makers can be complicated and frustrating. The Breville Smart Scoop Ice Cream Maker is easy to clean and even comes with a brush to help you get to those hard-to-reach areas. The Nostalgia Ice Cream Maker has an interior you can just wipe down when you’re finished, but it’s important to act quickly since the rock salt can be difficult to remove once it hardens. 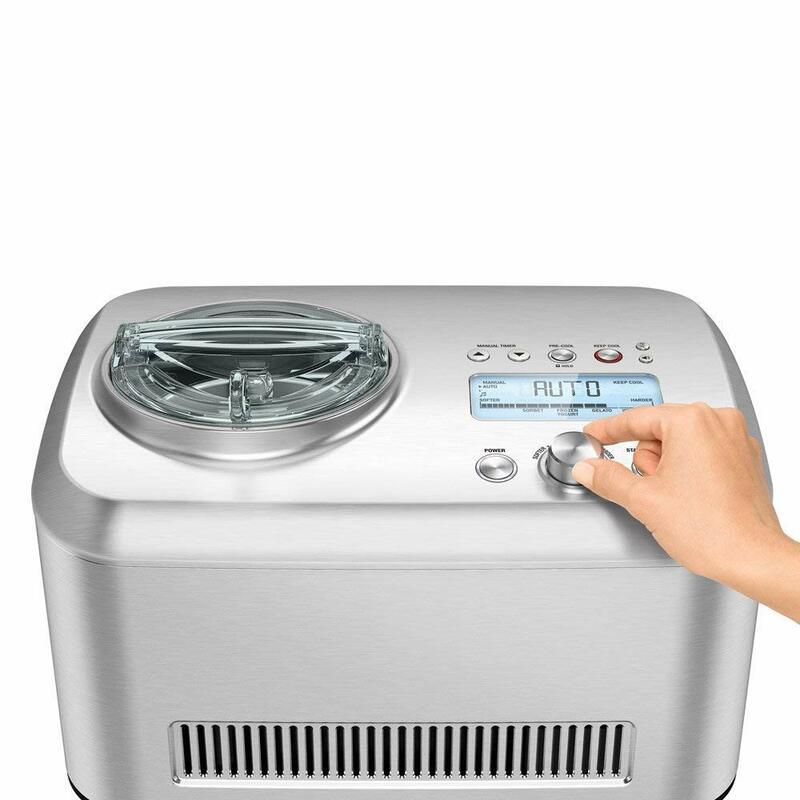 The Whynter Ice Cream Maker is not only easy to clean, but if the unit experiences clogs, it has an auto-stop function to give you time to get things cleaned out and working again. Although they can be pricier, a compressor-based ice cream maker can come in handy. The Whynter Ice Cream Maker, Lello Musso Lussino Ice Cream Maker and Breville Smart Scoop Ice Cream Maker are self-refrigerating, so you can just start making ice cream when you’re ready. The Nostalgia Ice Cream Maker requires you to freeze the mixing bowl and add ice and salt in order to freeze the mixture. Fail to keep it cold enough, and you’ll likely end up with a milkshake rather than scoop-worthy ice cream. One benefit of the Breville Smart Scoop Ice Cream Maker is that it has a keep-cool function. That means you can get it started and walk away, knowing that your ice cream will still be delicious even if you don’t return immediately. If you plan to make ice cream for large groups, you’ll want to make sure you choose one with enough capacity to handle it. The Nostalgia Ice Cream Maker leads the pack with its ability to make up to 4 quarts of ice cream. The Whynter Ice Cream Maker has a 1.6-quart capacity, while the Lello Musso Lussino Ice Cream Maker and Breville Smart Scoop Ice Cream Maker can only make 1.5 quarts. With peak capacity, though, comes another issue. The Nostalgia Ice Cream Maker is large and heavy, at 15 x 17 x 16 inches. However, it weighs only 6.4 pounds, compared to the Whynter Ice Cream Maker’s 27 pounds, the Lello Musso Lussino Ice Cream Maker’s 44.1 pounds and the Breville Smart Scoop Ice Cream Maker’s 30 pounds. This is something to consider if you’re thinking about storage and portability.